DESTINY beckoned Alex Cabagnot on Sunday as he entered the history books with a couple of career achievements in San Miguel's 113-92 victory over Magnolia. 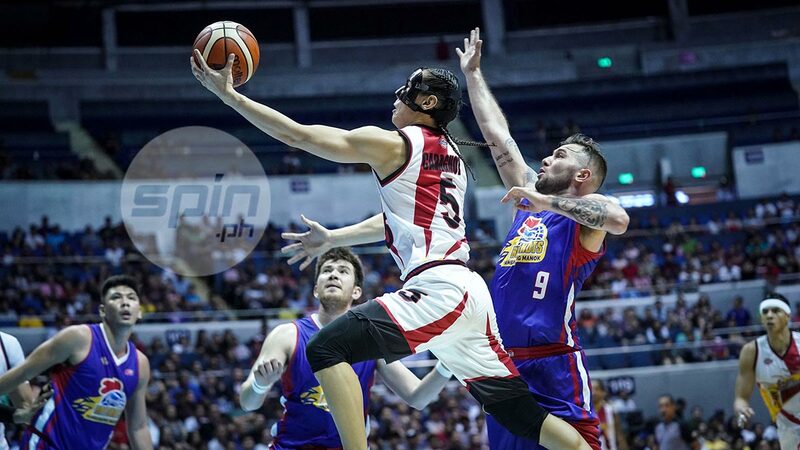 He entered the Top 10 in all-time steals, notching his 675th swipe with the three he had in the game to bump off Cyrus Baguio from the elite list. It didn't take long before he dished out his 3,130th assist with his four on Sunday, forging a tie for the eighth spot in all-time steals with legend Philip Cezar. "I never imagined when I started that I'll get to this. I'm just trying to make my mom and dad proud every game," said Cabagnot, humbled with what he has reached in his 13-year PBA career. Yet as overwhelmed as he was with the personal milestones, the Fil-Am guard's focus is still on the collective progress of the Beermen in this 2019 PBA Philippine Cup where they rose to a 4-5 win-loss record. "I saw it on the screen and I think Matt (Ganuelas-Rosser) mentioned it to me. Pero more than anything, we're 4-3. I'll probably celebrate about it later, but we're still 4-3," the 36-year-old court general said. The win allowed San Miguel to momentarily fix some of the issues hounding the squad early this conference. But Cabagnot knows that the Beermen must address them as they aim to gain a better chemistry as well as perform well on a more consistent basis. "I'd like to say that we won and I would think that something we could build off. Maaga pa magsabi na nandito na yung chemistry namin. Ayokong magbitaw ng something," he said as San Miguel aims to make the most of the month-long break. "We're still trying to get some momentum to face the next month. We have a month off and our next game is at the 8th of March. That can expedite the process of getting chemistry, getting consistency. We have a test of four games in March and maybe then, I could give a better prognosis and overall feel of everything."